Your team plays a significant role in the success or failure of your dental practice. Neal Jeffrey discusses five ideas that will challenge you and your entire staff to go from good to great. Each member of your team may be very talented but in order to become a championship team each person on the team must work together. 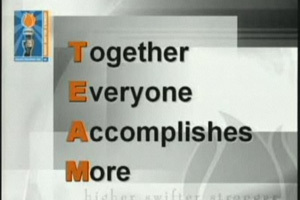 Become a team that T, thinks together, E, encourages excellence, A, anticipates adjustments, and M, maximizes the mission. Foster teamwork in your practice and open up your day by playing one of the 10-minute segments for four days and you and your staff will be inspired.